R & I Automotive in San Rafael offers a full range of Toyota Camry service and repairs – from simple oil change to advanced diagnostics and repairs. Our goal is to provide San Rafael Toyota Camry service that matches Camry’s legendary quality – and our nationally ASE certified technicians are trained and equipped to do so. We use state-of-the-art scanners to access your car’s diagnostic computer. When it comes to Toyota Camry, we perform a lot of routine maintenance, oil changes, brake pad replacement, tire rotation and replacement. If you bring your Camry for manufacturer recommended service, you should expect that regular maintenance is all it will need for years. Toyota Camry is legendary for its quality and trouble free operation. Servicing your Toyota Camry with R & I Automotive satisfies Toyota requirements to keep the manufacturer’s warranty in force. We do stress regular maintenance, since even Toyota Camry can experience an “off” year now and then. The most common problem reported by owners was that Toyota Camry 2009 experienced excessive oil consumption, and so did the earlier model, 2007 Camry. Given that we know that oil consumption might be an issue for older models of the Toyota Camry, regular oil service is the best prevention. 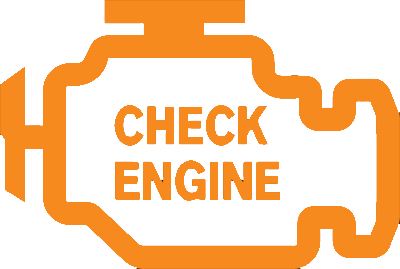 If you do own an older Camry, we recommend checking the engine oil level every couple of weeks, just to be on the safe side. Our San Rafael auto repair shop can work not just on the gasoline version of Camry, but can handle the hybrids as well. Our nationally certified technicians are equally comfortable working the regular Camry as well as the Toyota Camry Hybrid. We have the necessary tools, and training to work around the Camry high voltage battery. We provide 24 month / 24,000 mile warranty on all repairs. Naturally, our full service San Rafael auto repair shop can also perform other routine and not-so-routine repairs, for example: brake pad replacement, electrical system diagnostics, air conditioning system repair, coolant leak repair, fuel pump replacement, check engine light diagnostics and repair, shocks and struts, water pump repair or replacement, engine misfire, A/C recharge, oil leak repair, radiator replacement, clutch repair, transmission service, serpentine belt replacement, rough shifting, sensor diagnostics, timing belt replacement, and these are just a short list of repairs and services we provide. So next time your Toyota Camry needs service, diagnostics, or repairs, schedule an appointment online, or simply give us a call – we are happy to be of service.